Is Switzerland Arming in Preparation for A European Social Meltdown? It doesn’t come as a surprise. Switzerland has a history of xenophobia, even though it has one of the most generous policies for political refugees in the world. About 22% of its 8.1 million legally registered population consists of foreigners, not including the thousands of UN functionaries living in and around Geneva. So – why this rather negative reputation about ‘fear of immigrants’? – The right wing of this center-right governed country makes a lot of anti-foreigner noise. They have the majority in Parliament and they have a lot of money – the financial sector and big industry. Largely thanks to their propaganda, but as an apparent surprise to the Federal Government, the Swiss have voted in a referendum in February 2014 to limit the number of foreigners that are allowed to enter Switzerland. This completely contradicts the rules of the EU – of which Switzerland is not a member, but it has a large number of bilateral agreements with EU member countries, almost equaling EU membership. As a consequence, Helvetia has to adhere to most of the EU rules. And the free (unlimited) movement of people across EU borders is one of them. Especially the financial sectors and big industry need to import foreigners. Of course, not hamburger flippers – those they want to keep out – but highly qualified professionals and researchers, for which they would like having an open door. The Swiss Government is now struggling to find ways on how to accommodate their EU interests – huge business interests to be associated with the EU – and at the same time to follow the decision of the people. It will not be easy. Brussels is not ready for compromises. Add to this the just exploded scandal of the Luxembourg tax haven – the brain child of Jean-Claude Juncker, the current EU Commissioner and former PM of Luxembourg, who is now supposed to fight tax havens in Europe. The Luxembourg corporate average tax rate is 29%. Yet many international corporations have negotiated – under Juncker – a tax rate below 1%. Swiss corporations, mostly but not exclusively from the financial sectors, i.e. large banks and transnational insurers, are among the big Swiss tax evaders who establish profit centers in Luxembourg. On the other hand, Switzerland offers international corporations and rich foreign individuals quite similar incentives as does Luxembourg. For once, with a large fiscal autonomy, many Swiss cantons literally compete with each other with low-low tax rates to attract foreign corporations. On the other hand, most Swiss cantons offer rich to dirty-rich foreign individuals Swiss residency against a negotiated flat tax rate, way below what they would have to pay in their home country. One of Russia’s oligarchs, Mikhail Khodorkovsky, the former head of Yukos Oil, who was behind bars for tax evasion and corruption, was pardoned by Vladimir Putin in December 2013. Soon after his release from Russian prison, he settled in Switzerland under a negotiated flat tax agreement. There are hundreds if not thousands of super-rich foreigners living in Switzerland under negotiated tax rates, while ordinary, especially middle class Swiss citizens are imposed rather hefty tax rates, when compared to the extremely low fiscal dues for corporations and rich foreigners. How does that enter into the contingency plans of Switzerland against violent unrest across Europe? – Simple. Until recently most Swiss were oblivious to these double standards. Silence on the subject by the MSM obliges. Lately, however, there is a gradual awakening. 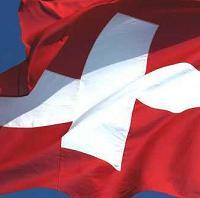 Uneasiness among the Swiss citizenry is rising. – Discontent about unequal treatment, continuous banking scandals, tax evasion of the big shots, huge, disproportionate boni paid to corporate top managers is gradually getting under the skin of the Swiss. A public referendum to abolish countrywide the negotiated flat tax on super-rich foreigners will come to a vote by end November 2014. Indeed, unrest within Switzerland is in the wings, if the government keeps ignoring the concerns of the average citizen. Unemployment in Helvetia is still low with 3.1% (October 2014) – which is a general pacifier. Yet, there is a sense of uncertainty about the future among Swiss citizens. They look around themselves in Europe and the rest of the world and see crisis after crisis and rightly suspect that their paradise may not be a safe haven forever. The so-called financial or Euro crisis, especially in the southern European states is not getting better. Instead, it takes on an air of ‘permanence’. It’s just that the MSM (mainstream media) doesn’t talk about it anymore. But street protests – not always non-violent – in Spain, France, Italy, Greece, are becoming common place. The continuity of this crisis – of course, constantly fueled by the likes of the troika – FED, ECB and IMF – may indeed lead to a disintegration of Europe, and disintegration within individual Eurozone nations themselves – which in turn could mean a deluge of refugees into ‘safe haven’ Switzerland. However, maybe Mr. Maurer’s foresight went beyond what meets the eye. He could well have seen the deliberate effort of the western powers, Washington and its European minions, to destabilize Europe financially and politically to the point where US and NATO interference will become a must, from the Washington perspective that is – and Europe as such is no longer a potentially interesting partner for the East, Russia and China – but instead, will be ready to be salvaged Washington style. Just look at the latest financial manipulation by the European Central Bank (ECB), inspired, of course, by Wall Street and the FED – ECB’s setting up of the new watchdog, the Single Supervisory Mechanism – SSM, designed to control the Eurozone banking system, beyond the sovereignty of the banks and the nations they primarily serve. SSM, i.e. ECB, will make the future rules for the European banking system. The SSM went into effect on 4 November 2014 – and if the Euro nations go along with it – which looks likely – then there will be no return, meaning, the ECB will have economic and financial control of the Eurozone’s banking activities – imposing ‘sanctions’ if necessary. For example, if Eurozone banks sway towards trading with the forbidden eastern alliance, Russia and China. ECB / SSM can make or break a bank at will, if it does not behave. At the same time we are witnessing a stocking up of NATO armament and personnel all through Europe at the request of the northern European NATO alliance, echoed as a necessity in the face of Russia’s aggressions in Ukraine… by the new Chief of NATO, the Norwegian Jens Stoltenberg, the new Washington Cold Warrior mouthpiece. As a parallel gesture, he asks the European NATO members to increase their financial contribution to NATO. All of this will not bode well with the people of Europe. They are never asked how much they want to spend on defense, for example, vs. health or education, nor are they asked how the European financial system should be organized, how the banks should be monitored, so as to protect their savings and investments. They are just assumed to go along – as they have done so far. But there is an end of patience in sight. Mr. Maurer, Swiss Defense Minister, not a great friend of Washington’s hegemonic games, sitting on top of the Swiss power pyramid, may have just foreseen coming turmoil in Europe – or may have access to intelligence which most of us are not privy to.